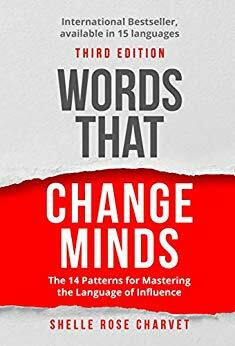 Words That Change Minds is an international bestseller, available in 15 languages. You will discover how people unconsciously get motivated, process information and make decisions. Find out the words to use and not use to have the impact you want, and avoid saying the wrong thing. Free on Kindle. "Words That Change Minds" by Shelle Rose Charvet was first posted on freebookpromotions.com on March 29th, 2019. Each day we feature new free and discounted Kindle books in the Business & Investing genre as well as all other genres.